The LIE SANGBONG Fall/Winter 2015 collection entitled “Oriental Ink” was inspired by the juxtaposition of clean lines and the vibrant shape of flower’s petals, the linear movements of oriental peony paintings. The collection’s pristine silhouettes were bred with the graphic murals created by Korean born, New York City-based artist Sun K. Kwak. The color palette consisted of camel, navy, burgundy and grey hues, accented with bold reds, blacks and whites. The prints emphasized the floral inspiration. As we saw in many of the collections shown at Lincoln Center, another statement were the leather pieces, adding an edge to an elegant collection, allowing for transitional pieces that work from day to night. 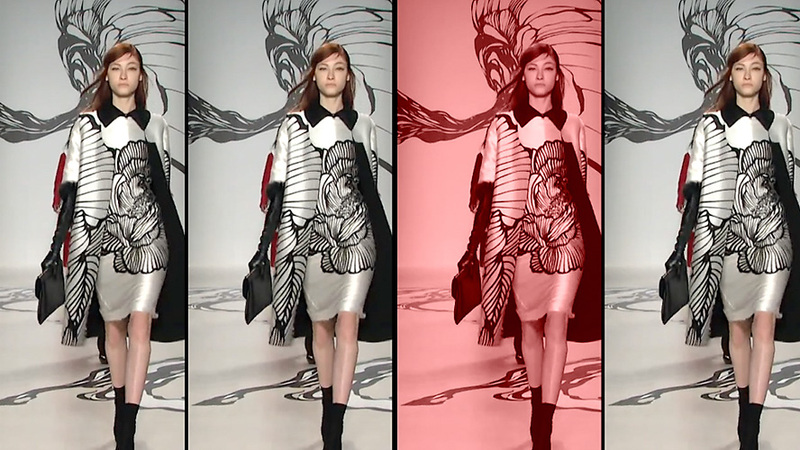 Watch the video by editor in chief Indira Cesarine and designer Lie Sang Bong above, as well as the full show below.